I’ve been eating out a lot recently. Actually I eat out most days or order in. The kitchen in my apartment is used for the random occasions I like to make myself beans on toast (no judging – I love it! 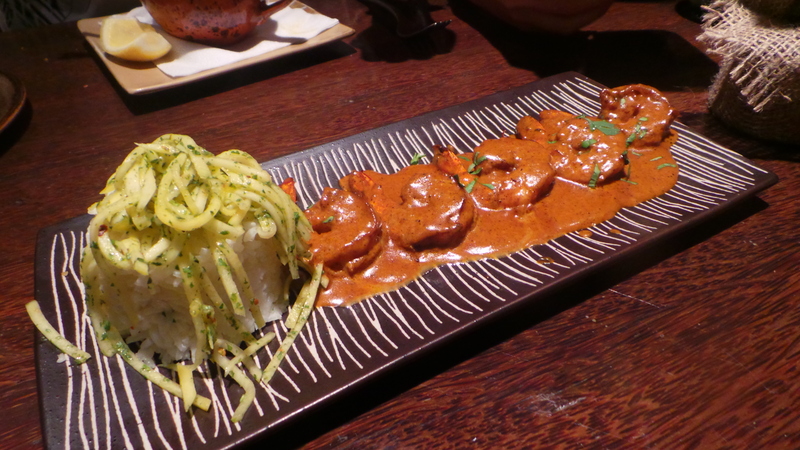 ), so it’s safe to say I’ve probably tried and tested a fair few restaurants in Dubai. 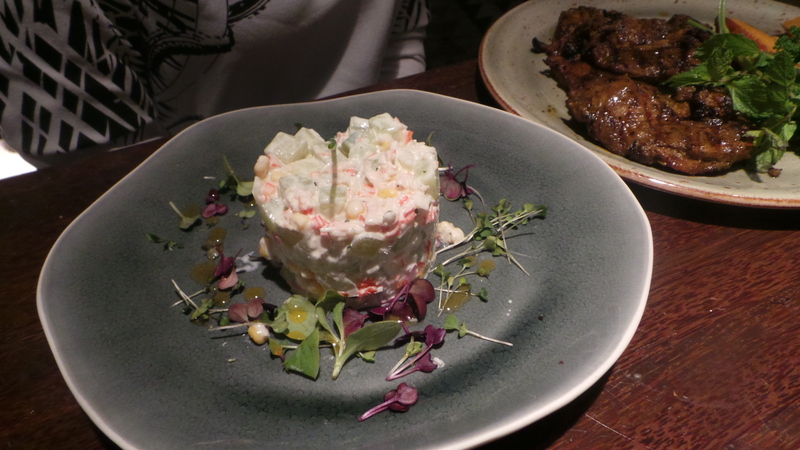 One restaurant that I do like to indulge in now and again is Tribes. 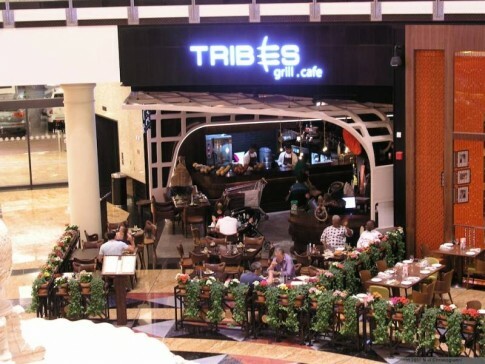 Located in the fashionable part of Mall of the Emirates – The Fashion Dome, Tribes opened up a few years ago. 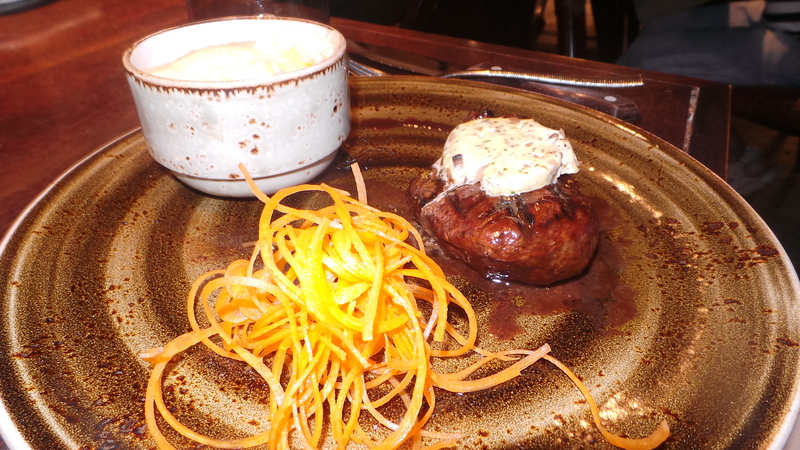 It is a primarily a South-African steakhouse brought to you by the same people who gave us The Meat Co. Last week Lailli and Alizey from PSF joined myself and Maha from Shades and Coffee for a mini blogger meet-up over dinner where we got to indulge in some VERY delicious fare. Our starter was these yummy Madagascar prawns served with rice and mango and coriander salsa. Divine. I’d go back for the salsa alone! All 4 of us opted for very different mains. Maha is on a rabbit diet and obviously went for the salad. 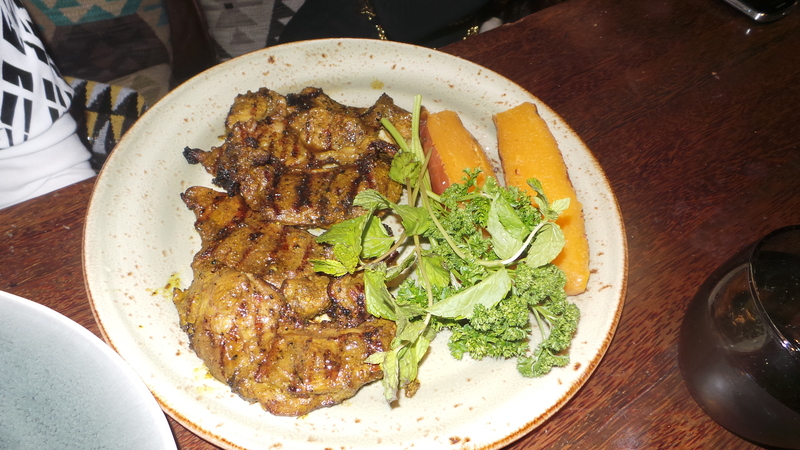 Lailli polished off some delicious lamb chops whilst Liz went for the 200g fillet steak (again!). No surprise, I ordered the chicken. 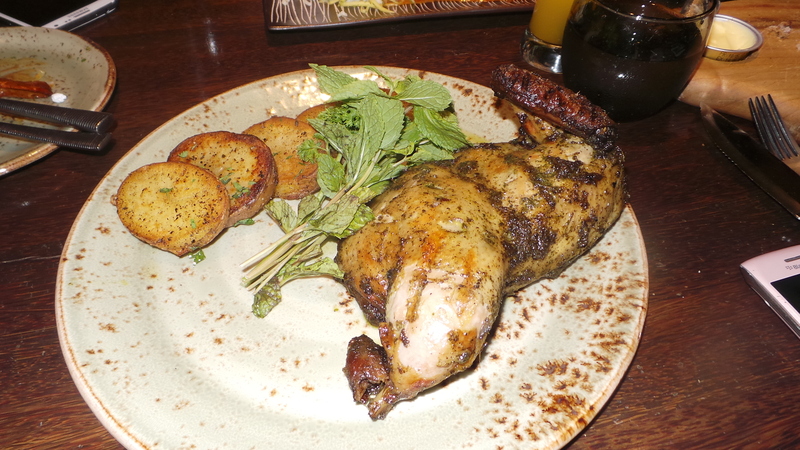 Now when I say my portion was enormous, it was basically the whole chicken on my plate. 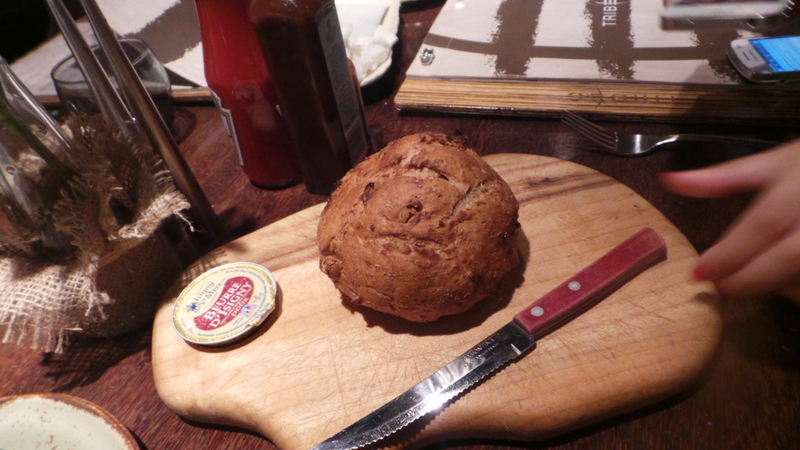 I could barely ate half of it – as yummy as it was. We then went off to walk off the calories and an innocent trip into Sephora so Maha could get an eyeliner meant I left with 5 different products obviously! (Blog post soon). Another great meal at Tribes. Cannot complain at all! Must remember to visit next time when I am absolutely famished!